If travelling by bus within Greater London, then Transport for London will tell you. They centrally plan the routes, timetables and fares for all buses in the capital. The actual running of the routes is franchised out to private companies (some of them, such as Arriva, Abellio and RATP, owned by foreign governments), but they all use red buses. From the passengers' point of view, the company operating the bus is not relevant. The rest of England, Wales and Scotland have a more complicated situation. Most bus routes are run commercially by private companies with no government involvement. The gaps in the commercial networks are filled by routes that are subsidised by local councils. Traveline is extremely useful in the Midlands and the whole of South of England. You can look up a list of all routes serving a particular place and see a route map, the timetable and of course find out which company operates each route. Outside the South and the Midlands, the national Traveline site is the best one to use. Some local and county councils do a good job of providing an overview of all public transport on their patch. Others less so. Some of the best are Derbyshire, Essex, Devon, Cumbria and the major metropolitan counties: West Midlands, Greater Manchester, Merseyside, West Yorkshire, South Yorkshire and Tyne & Wear. Most also feature maps of their regions showing all local bus routes. If you have a free pass that is issued to pensioners and disabled people then it is valid on all local bus services in the country (England, Scotland or Wales) in which it is issued. Such passes issued in England have a red rose emblem in the corner. Bus companies' websites should be the first port of call for information regarding fares, but bear in mind that they don't always give you complete information. Most will not tell you the price of single or return tickets, so you should be prepared to e-mail or phone the bus company for those. They do all give you a summary of day tickets and longer-term tickets. You should also check the website of the local council as some authorities sponsor special tickets that are valid on the buses of more than one operator. Operators make less money from these, so tend to publicise them less well, if at all. Examples of such tickets are the Wiltshire Day Rover, Solent Travelcard and Essex Saver. If travelling by train and you intend to use the bus at either end of your rail journey, then consider buying a Plusbus ticket with your train ticket. Do carefully check the area in which it is valid as some Plusbus zones are smaller than you'd expect. Also check whether it is accepted by the bus operator you intend to use. 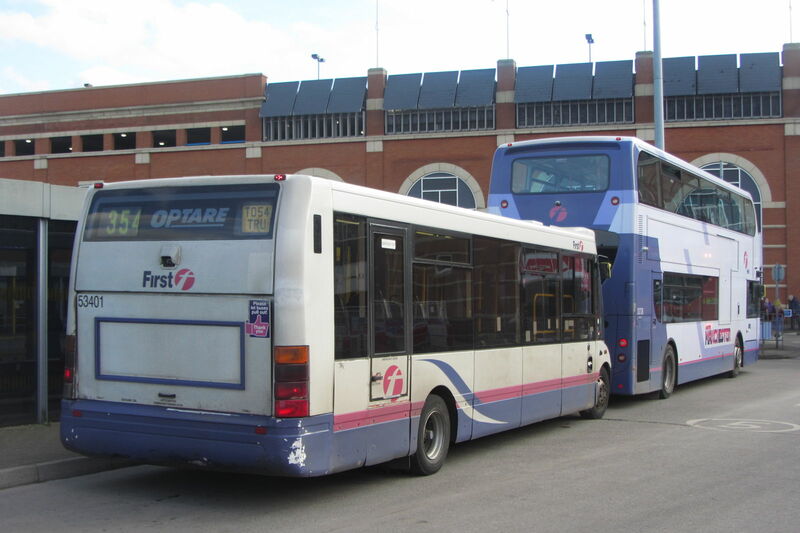 Some smaller operators in particular do not recognise Plusbus tickets, while almost all of the big operators usually do accept it. When you see the bus approaching the stop, hold your arm out so that the driver knows to stop. If you already have a ticket or a pass, show it to the driver as you board. Some passes have chips in them that you need to scan on the ticket machine. Ask the driver if you are unsure how to do this. If you need to buy a ticket from the driver, do your research beforehand and make sure you know what your desired ticket is called. This is especially important in areas where several different day tickets are available and you need to be sure that you get the right one. Anyone requesting just a "day ticket" might be issued with a cheaper one that isn't valid on all the buses you need to use that day. For more tips on how to use the bus for the first time, click here.